There is often confusion over what a “tune-up” actually is. Years ago, it referred to changing out a vehicle’s condenser, cleaning the carburetor, or changing the plugs, etc. Today, many people think that a tune-up consists of replacing spark plugs and wires. In fact, a tune-up is much more than that! By today’s standards, an automotive tune-up involves performing a comprehensive assessment of a vehicle’s engine in order to determine what improvements can be made to improve the performance/pro-long the life of the vehicle. Tune-ups may consist of basic maintenance (oil change, filter, fluids, tire rotation) all the way up to more serious diagnostics. Maintaining your vehicle’s quality performance is all about receiving consistent tune-up services. 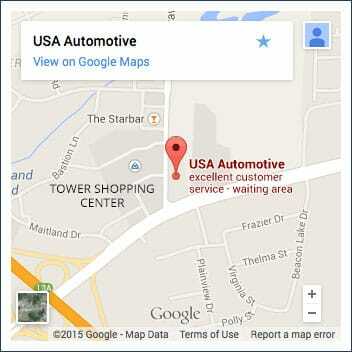 At USA Automotive, our team specializes in keeping your vehicle in the best shape possible. With preventive maintenance services in the 27604 area, we guarantee that we’ll help you keep your vehicle in top-notch shape. Your brakes, tires, battery, as well as other automotive components need routine inspections and monitoring to prevent potential trouble. Additionally, regular wear and tear over the years makes your vehicle parts more susceptible to breakdowns. At USA Automotive, we believe it’s important to perform tune-up services to replace any vehicle parts that are worn or corroding and correct any components that are malfunctioning. With our quality tune-up service, we’ll be able to advise you on any potential problems that we see along with a suggested course of action. Drivers are often unaware of current issues as well as potential problems with their vehicle. By the time they notice anything, it’s already too late. When a vehicle is brought into our shop for a tune-up service, our goal is to prevent vehicle owners from unnecessarily spending money on repairs, and correct any issue before they become a repair need. A large part of your vehicle’s routine maintenance involves providing services that protect your engine from dirt and contaminants. Oil filters, air filters, and fuel filters need to be replaced to keep your engine protected from those harmful deposits that prevent your vehicle from operating efficiently. A new fuel filter is a common tune-up item for many cars that should be performed regularly and according to your specific driving habits. Consult your vehicle’s manual and the technicians at USA Automotive for the best fuel filter change intervals. This fuel filter service will protect your fuel injectors and fuel system, and it can also improve gas mileage. 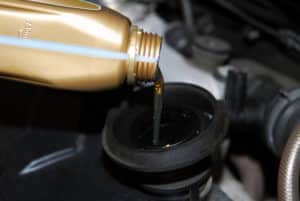 After accumulating a certain amount of miles on the road, your vehicle will naturally experience oil change needs, and lube services. Failing to keep up with regular maintenance services will eventually lead to poor vehicle performance and other potential problems. Keep your vehicle at optimal performance with our tune-up services. We can help you avoid untimely vehicle breakdowns and expensive repairs by carefully monitoring your vehicle and performing appropriate tune-up services. Preventive maintenance is the best way to ensure that your vehicle continues to operate at peak performance. Schedule your next tune-up service with us, and we’ll help keep your vehicle in top shape! Need a Tune-Up? Let’s Do It Today! There’s no time like the present for your vehicle’s critical tune-ups. If you’ve been on the road enjoying quality performance out of your engine, now’s the best time to bring your vehicle to USA Automotive for a routine inspection or tune-up. We want to ensure your safety and efficient engine performance for years to come. That can only be accomplished if we can get to any problem before it actually happens and correct it. Give us a call at 919-249-5295 today to schedule your next tune-up service. You can also schedule your tune-up service right now using our convenient online scheduling system. Just pick a day and time that works best for you!